Crazylight technology debuted in adidas basketball shoes in 2011, boasting itself as the lightest shoe on the market by a healthy 15% over the closest competitor. 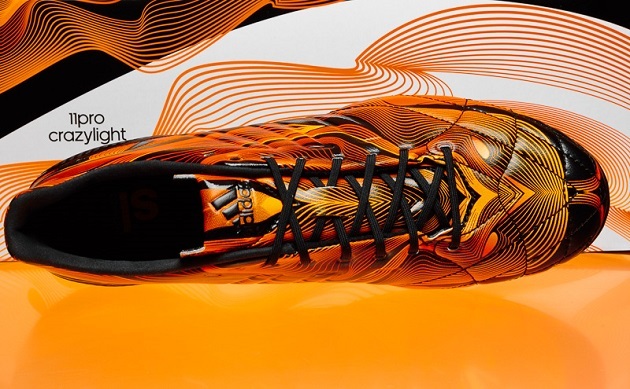 That shoe’s main tech advance was SprintWeb, a synthetic construction that results in a lightweight and breathable, yet durable upper, which used to be deployed on the F50 adiZero. 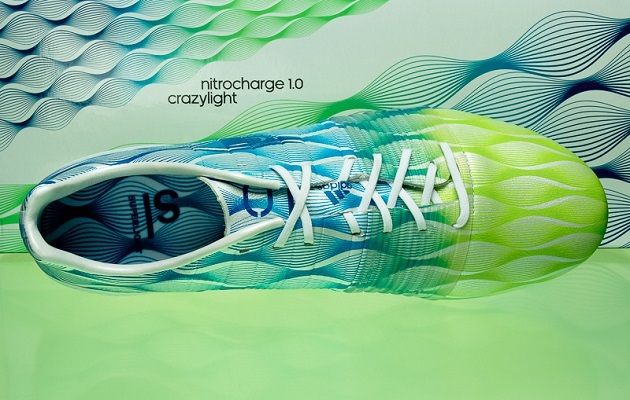 The basketball version of Crazylight has seen several different incarnations over the last few years, most recently in its Crazylight Boost release. 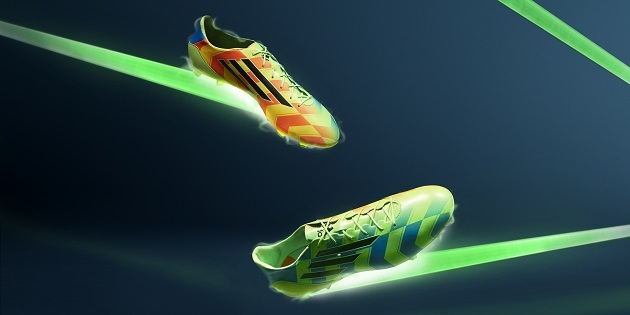 Last March the Three Stripes released their Crazylight F50 to much fanfare as The World’s Lightest Football Boot Ever. 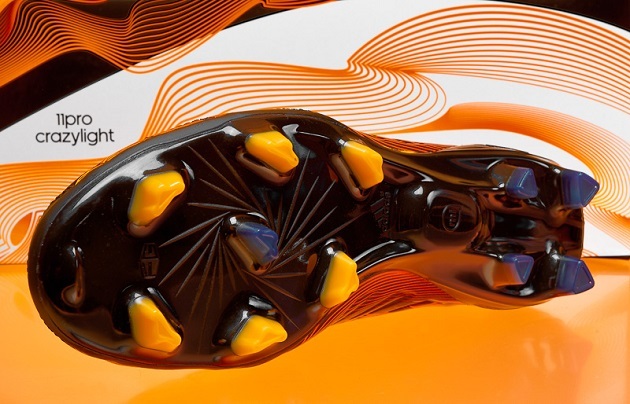 At just 135 grams, the limited edition boots were worn by Gareth Bale, who famously switched it out in the middle of a match, leading to a Sevilla goal in a 2-1 Real Madrid loss. 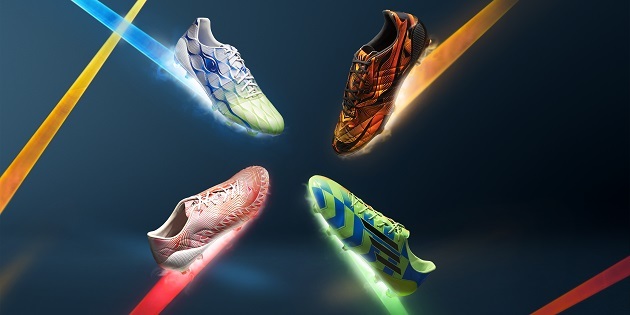 Now adidas has decked out all four of their firm ground silos with a Crazylight version in outlandish colorways. Let’s get started, shall we? 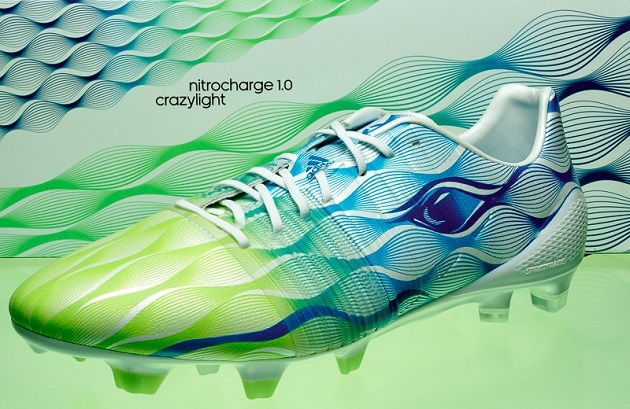 One of the lightest leather boots around is back to kick us off on our Crazylight journey. 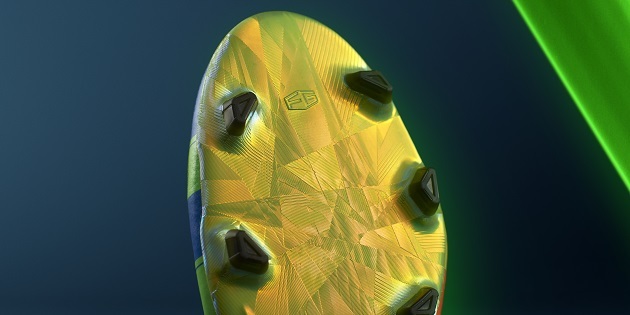 Coming in at 190 grams, this adiPure 11Pro has K-leather with memory foam on its upper and the Sprintframe outsole. 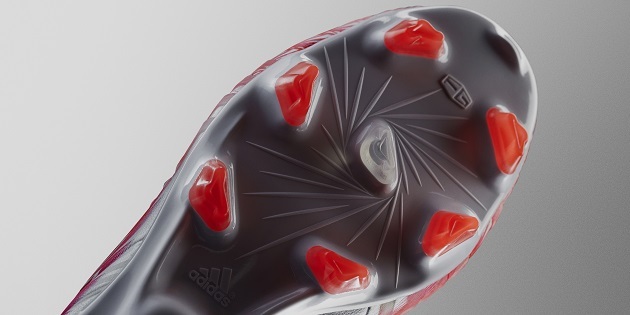 Any F50 adiZero fans out there will notice that each of the boots in the Crazylight series has borrowed the F50’s soleplate. Why did adidas feel the need to slap a different outsole on these? Because the Sprintframe is made for a lighter boot. It’s a lightweight yet supportive chassis (a fancy word for base structure) that gives the wearer that low-to-ground platform. Since this boot is constructed with minimal material to bring the weight down, the Sprintframe provides a stable base while staying pretty light itself. Black, orange, and yellow dominate the colorway here. 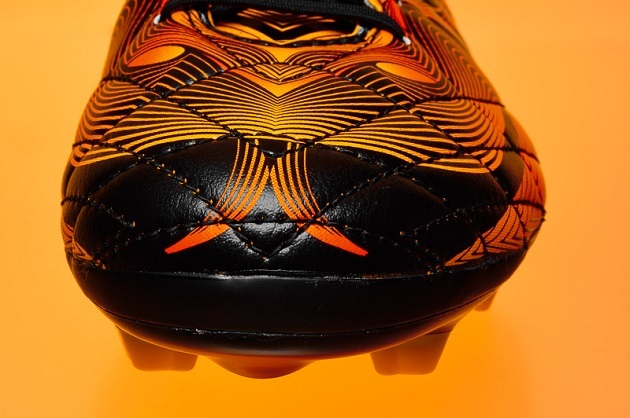 Swirling orange-yellow lines on a black background give this 11Pro a fierce look, animalistic even. Facing the boot from straight on, there appear to be two eyes staring you down. To me it looks like the face of a jaguar or some other Big Cat. Or maybe a dragon? I don’t know. 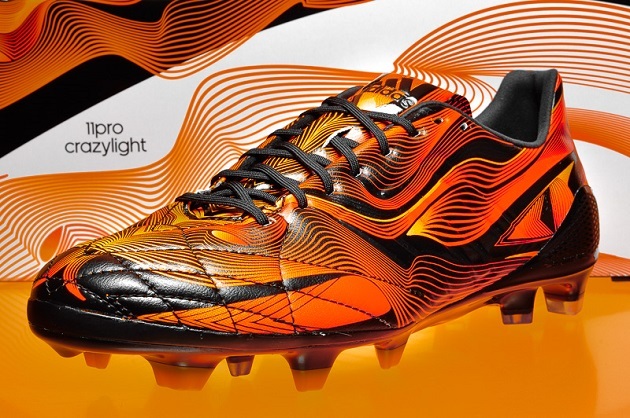 Anyway, the soleplate is solid black, making this the clear winner from the Crazylight series if you like darker boots. 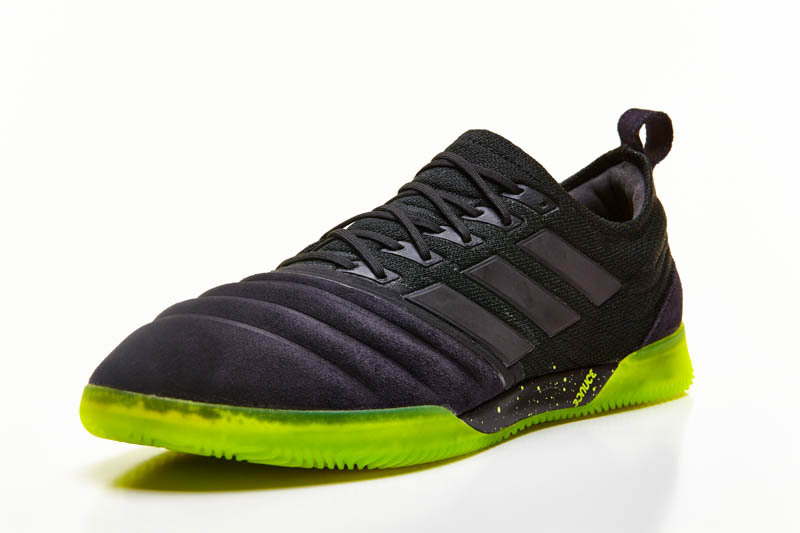 The 11Pro has previously had an SL version in a sharp black and green style. 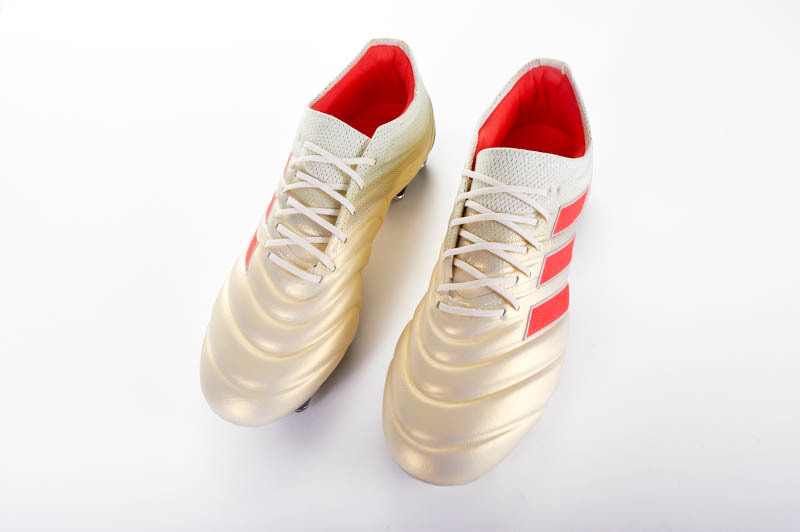 Even though this latest release is lighter than usual, adidas still regards the 11Pro silo as the go-to boot for those who enjoy a soft leather upper and play with control and precision. Your Steven Gerrards and Frank Lampards, basically. These give off a dangerous sea creature vibe, don’t they? The dark-to-light, blue-to-green colors forming those wavy ovals make me think of an aqua setting. And then there’s that dark blue eye poking out from either side, giving this light-colored boot a more ominous feeling. You might see a whale, you might see a Kraken, maybe you see Nessie, the Loch Ness Monster. 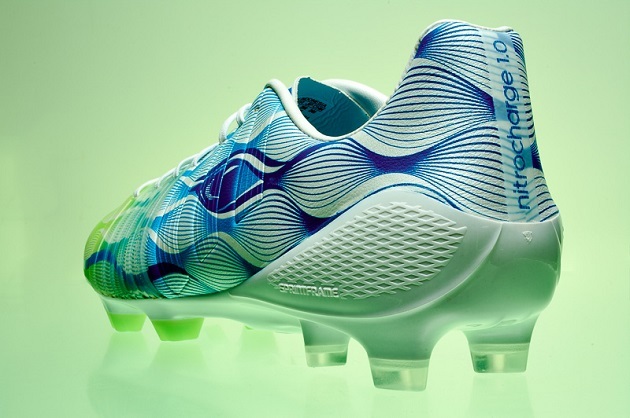 Adidas presents the Nitrocharge as their energy-themed boot for the box-to-box midfielder. 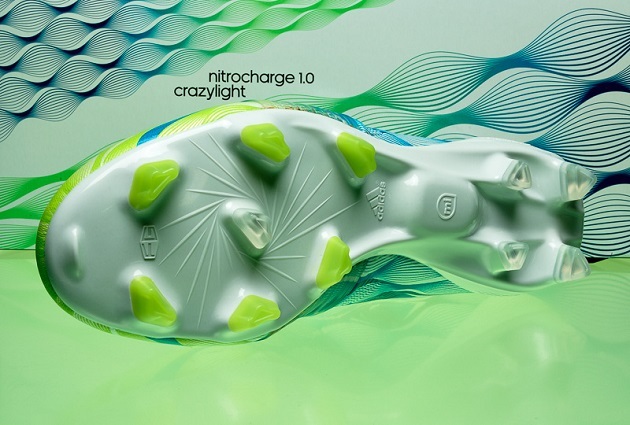 Thus, the Energysling; their most noticeable tech feature on the Nitrocharge 1.0. It has been enlarged with the latest update and here it is see-through, allowing the focus to remain on the interesting upper design. On that upper is adidas’ Hybridtouch material, which doesn’t weigh this Crazylight version down while remaining a relatively soft, comfortable feel. To get down to that vaunted “crazy light” weight, they have removed the pre-moulded protection pads and the protective mesh layers. If you want to be lighter, you have to lose something right? This year is the Predator’s 20th anniversary and adidas has been dropping classic remakes and special editions from its historic collection over the past several months. 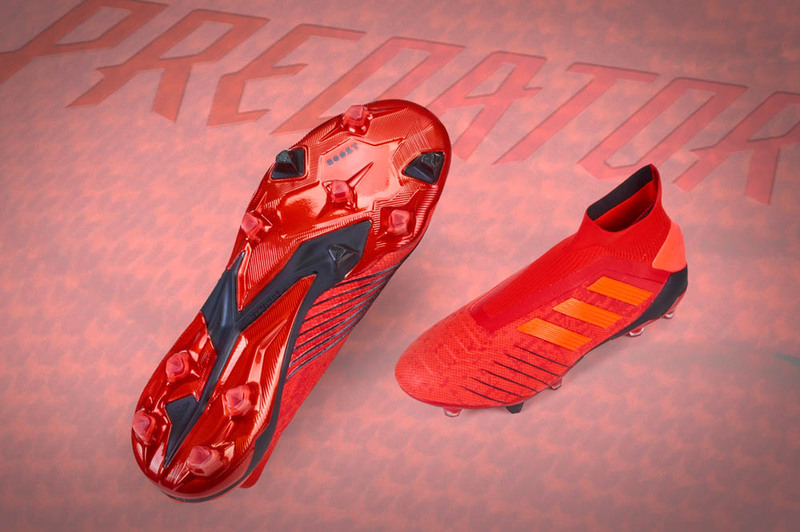 The most recent Predator incarnation, the Predator Instinct, has been met with generally positive reviews and here it gets a red/pink colorway with those same wavy lines running throughout the boot. 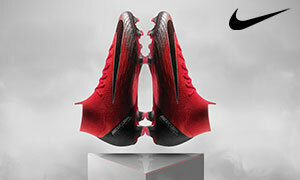 The only difference in graphic design is the (more amusing than menacing) row of teeth lining the bottom, just above the outsole. 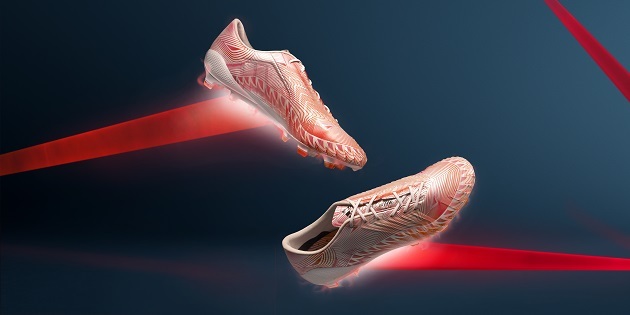 Touted as 33% lighter than the standard version, the Predator Crazylight still has its Hybridtouch upper and gel pad lethal zones for unreal control on the ball. On the bottom, the Pred is given that same lightweight Sprintframe. 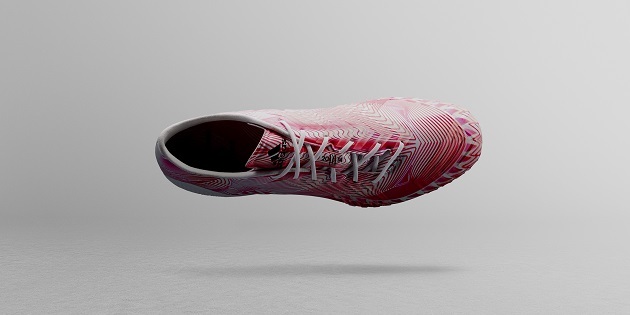 The pack is rounded out by the new F50 adiZero Crazylight. With a upper design similar to its previous release, this update went more neon. One side has a bright orange and yellow combination, while the other side sports alternating blue and green. The three stripes on either side are black, as are the stud tips. 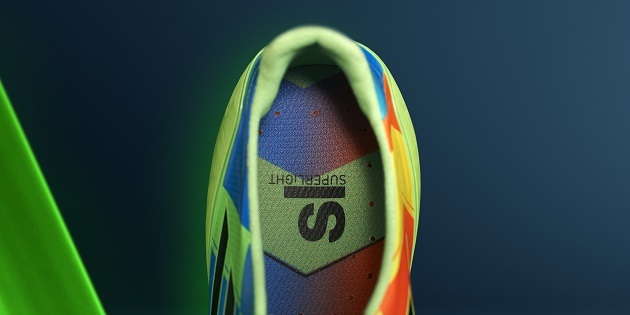 With its yellow/green cracked-mirror look, the Sprintframe outsole on the F50 probably looks the best of the four.